Gardena Judo Club is a family oriented club emphasizing its teachings on students who want to be competitive as well as those who want to learn judo as a recreational sport. Judo is a martial art that teaches you discipline, self-respect, and confidence. It is a way of life. 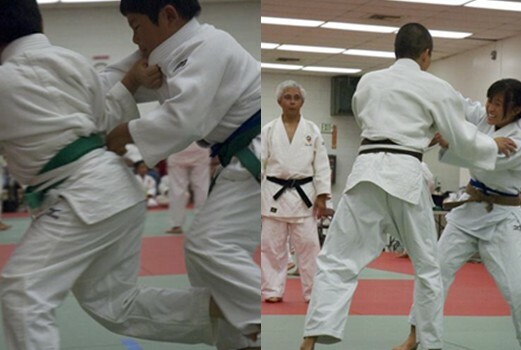 Gardena Judo Club offers classes twice a week. Each class is taught by black belt instructors with many years of experience. Guest instructors also help teach techniques and strategies for students of all ages and abilities. As a family judo club, everyone participates: from mat setup, score-keeping at local tournaments, organizing and running fundraising events, to splashing at pool parties. New and prospective students please send an email to newmember@gardenajudo.org including complete name, birthdate, parents names (if under 18), contact email address, contact telephone number, address, and prior judo experience (if any). For more information, please click here to go to the Gardena Judo Club website.